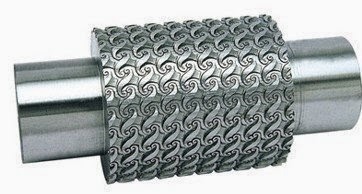 In order to fulfill diverse requirements of different clients, we are offering a comprehensive range of Textile Embossing Roll at industry leading rates. The offered range finds its usage in textile industry to print embossed designs and patterns on fabrics or garments. It is available with us in different grades as per the client’s requirements. Our product is extensively demanded in the market for its high functionality, perfection as well as longer functional life. Clients can avail the entire range within pre determined time duration.